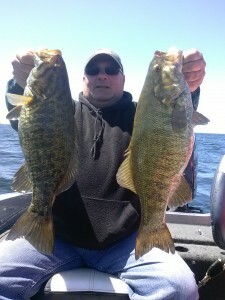 While some of the smallmouth bass are still guarding nests in some portions of green bay there are plenty of fish that have completed the spawn. We have been finding our best success fishing for fish that are not in the process of spawning in water depths from 8 to 15 feet of water. With each day being a bit different from the next over all we have been finding our best success using soft plastics such as tube jigs along with soft plastic worms rigged wacky style and also some fish still coming on jerk baits such as the Rapala Shadow Rap. 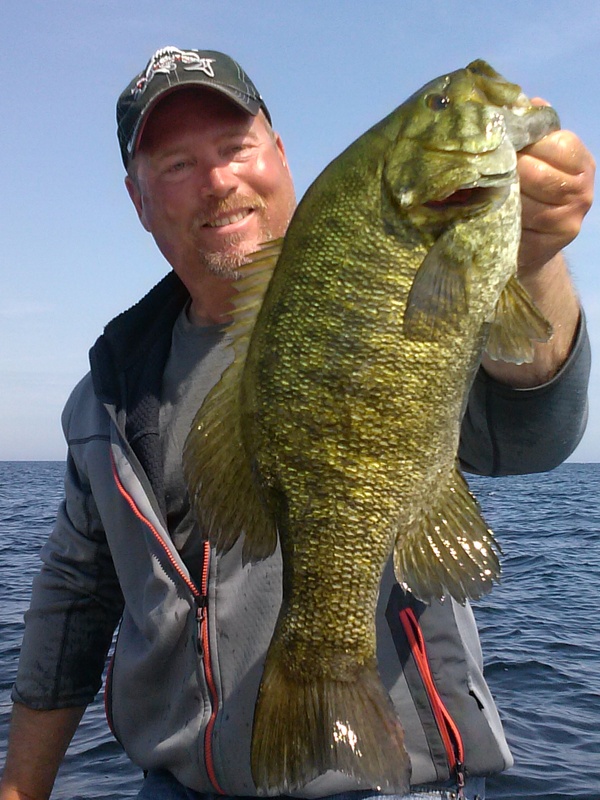 The bass fishing here in Door County over the past couple of weeks has had its ups and downs with the water temps rising one week and cooling the next week. Over all the fishing has been pretty good with decent numbers of fish being caught. We have been targeting the Bass in water depths from 4 to 10 feet of water with some days targeting deeper water depths around 15 to 20 feet of water. Our approach has been using swimming grubs from Trigger X along with 1/8th oz tube jigs and also finding success using Rapala Shadow Rap Jerk baits.